Soul music underwent a great shift in the early 1970s, from predominantly dance-oriented music with a big beat to a greater emphasis on harmony and layered complexity. The O’Jays were one of the leading groups of the “Philly Soul” sound. Back Stabbers basically takes up the socially-conscious approach of the likes of Curtis Mayfield‘s Curtis, Marvin Gaye‘s What’s Going On, and even Isaac Hayes‘ Hot Buttered Soul and Syl Johnson‘s Is It Because I’m Black. 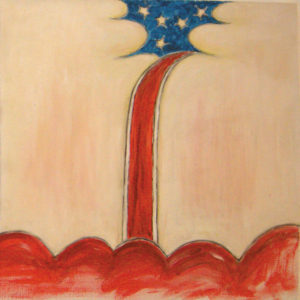 But, of course, the difference here is the emphasis on a smooth, sophisticated construction with a hint of psychedelia. So, “Love Train,” which closes the album, is pretty much one of the epic soul cuts. It is the ideal embodiment of the way christian philosophy — by way of gospel music — lurked behind the end goals of black militancy in the early post-Jim Crow era. Nothing else here comes close to that song, but, then again, little else in the entire genre does. 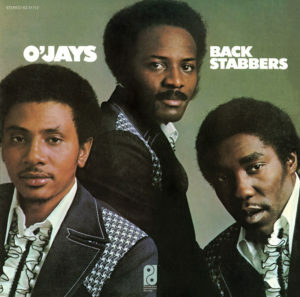 If there is a complaint here, and perhaps there should be, it is that The O’Jays lean too heavily on a kind of urban elitism (or should we say “New Age Racism”) that would soon crush the remnants of the soul genre and pave the way for the abomination that is smooth R&B. This shows in the way some songs seem like safe, mainstream-ready adaptations of There’s a Riot Goin’ On (“When the World’s at Peace”). And also in the way the string arrangements are a bit lazy and complacent. So, there is a tension, with elitism being at direct odds with christian universalist values (The O’Jays would further complicate matters on later releases by trying to join christian universalism with its opposite: pre-christian, pagan “family values”). This one just don’t quite hold up to its reputation, even if “Love Train” surpasses it. Maybe check out David Ruffin‘s overlooked Me ‘n Rock ‘n Roll Are Here to Stay or Gladys Knight & The Pips‘ criminally under-appreciated Neither One of Us instead, or even The O’Jays’ follow-up Ship Ahoy. João Gilberto seemed to always take unexpected paths. Following his rise to international fame into the mid-1960s, he did not release any studio recordings for five years. He moved to the United States, then to Mexico for a couple years, then back to the United States. 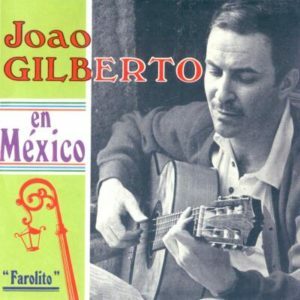 During those few years in Mexico he recorded the sometimes overlooked João Gilberto en México. The music is transitional, and while there are some simple performances rooted in his past work, with a focus on just Gilberto singing with his guitar, this was an album that notably embraced lush American pop in a new way. That new turn is epitomized by a version of “Trolley Song,” made famous by Judy Garland‘s rendition for Meet Me in St. Louis. The album features orchestration, but it seems like that of a minuscule budget, deployed sparingly. Gilberto would remove all traces of orchestration on his next album, arguably his best. But orchestration came back even more prominently on the highly successful Amoroso, which has little of the spark and vitality of João Gilberto en México, and the use of an American pop standard carried over to the artistically rewarding collaborative effort Brasil. This is an interesting set of music, revealing Gilberto’s willingness to rethink his music in fairly fundamental ways. Much of the newer (if still retro) ideas he introduced initially here would only come to complete fruition over two decades later on João. Michael Hudson: “America did something that has relevance for America for today. After the North won the Civil War, they thought how are we going to teach protectionist, non-Ricardian, non- Malthusian economics. And they say, most of the economic courses were taught at prestige universities, and most universities in America were founded by religious orders to train the priesthood. And the political economy course was taught in the seniorly years, you know, the final one, and it’s all, markets are great. Michael Hudson: “When the graduates, who learn what you and I are talking about money, graduate, they can’t get jobs, because jobs are conditional upon being able to publish in prestigious economic reviews, and they’re all controlled by University of Chicago and by neoliberals. “And the genius of Chicago free market theory is you can’t have a free market Chicago style unless you have a totalitarian state that will prevent any alternative to the theory. When they went to Chile, Harberger is said to have sat in a hotel room saying, here are the professors you have to kill. Pinochet and the American embassy said, here are the labor leaders you have to kill. And here are the intellectuals you have to kill. Steve Keen: “So what they’ve had by the purge they’ve managed to achieve – not quite as drastically as Chile, thank god – but the purge they managed to achieve in intellectual economics to make them just that the sole mainstream and knock out any alternative arguments meant that they took over economic policy as well as economic theory. And pushing it forward led them to the financial crisis that they could not see coming, because they didn’t even include the variables that cause the financial system in their models. 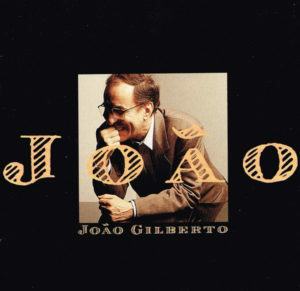 More than thirty years into his recording career, João Gilberto released 1991’s João. The master sounds as cool and relaxed as ever, but here he is backed by orchestration. It is somewhat hard to understand why Amoroso (1977), with its treacly, Sinatra-aping, cookie-cutter arrangements, gets praised as one of Gilberto’s best while this stunning, superior effort is somewhat overlooked. While he often was at his best in minimalist settings, with little else but his voice and acoustic guitar (João Gilberto, Chega de saudade), João might be the consummate realization of his music in a more elaborate and ornate setting. The orchestration (by Clare Fischer) features strings plus wind instruments, sounding mostly like woodwinds. The recording is detailed enough that the woodiness of the oboes comes through, and the flutes are smoothed over to eliminate sharp angles. And the arrangements are superb — voicings move independent of one another and add melodic detail, always perfectly complementary to the overall mood (reminiscent, perhaps, of Richard Carpenter in his prime). The orchestration is not so much underneath Gilberto’s playing as interspersed and traded back and forth against his singing, sometimes augmenting it with crescendo-ed washes of strings. This is not a return to a style of his earlier career as much as a new facet that retains a connection to all of his strengths while also standing somewhat distinctly apart form other trends and undercurrents of his past career. From the beginning, everything about Gilberto’s craft was suited to last into his autumn years. He is singing here at such a slow tempo, maybe that is a sign of age, but it also encapsulates the reclusive, deliberate, insouciant, persevering, and, above all, incorruptible qualities that make his music so appealing. This was one of the first of his albums in a very long stretch to feature new songs. Released decades after the bossa nova fad had passed, this is, surprisingly, yet another Gilberto album that is among the best the entire genre has to offer. Pure class. Superb. 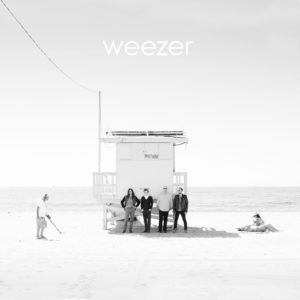 Weezer’s “white album” is about as good as anything they have ever done, which, admittedly, isn’t saying a whole lot. This is pretty superficial stuff, lyrically especially, and the music is mostly just a reenactment of well-worn pop-punk riffs. No highlights, and forgettable for the most part, but still fairly consistent from start to finish. 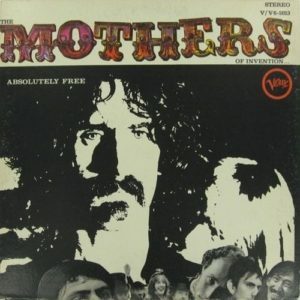 Absolutely Free is sort of the quintessential Mothers of Invention album. It highlights all the problems with the band’s musical approach. They were arch cynics, which is to say that their zany fart joke songs give the impression that they are mocking the “system” but that is really just a front for what are ultimately merely attacks on personalities in an — ultimately hypocritical — bid to supplant the personalities being mocked in some kind of upper ranks of that “system” they pretend to mock. Sound complicated? Well, it is. The ultimate problem is the hypocrisy. Rather than holding up the ridiculous claims of those in power for the moronic and stupid things that they are on their face, The Mothers opt to take a superior attitude, getting mired in a kind of “beautiful soul” problem in which they claim to stand apart from the fantasies of those of dominant society and mock in from afar. This is the epitome of the criticism that “a cynical distance does not amount to ‘traversing the fantasy’, since it implicitly reduces fantasy to the veil of illusions distorting our access to reality ‘as it really is'[, and so] . . . the cynical subject is [that] who is least delivered from the hold of fantasy.” But against the odds, The Mothers accidentally addressed this very problem on their next (and best) album, We’re Only In It for the Money, which was unintentionally a self-criticism. There may not be any simple way to characterize all of John Fahey’s recordings, given the vast amount of territory they cover. 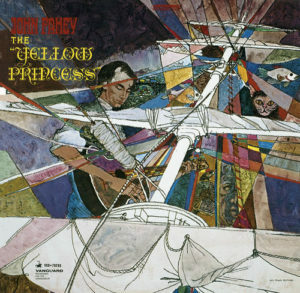 But even as it feels more modern than his earliest records (read: his first three albums), The Yellow Princess still falls toward the more conservative, straightforward end of the spectrum. That fact leads to a few rather obvious characterizations. The material is rather accessible, and focuses on technical mastery of the steel-string acoustic guitar in a relatively traditional folk song setting more than on improvised stylistic explorations. That is to say that unlike his early attempts to play folk and blues tunes like symphonies solo on a steel stringed acoustic guitar, full of noisy artifacts, or experimental sound collages, he is now playing more conventionally pretty and technically impressive folk music. Prime examples of this are the title track and “Lion”. Even though he does include some sound collages, there aren’t the inevitable missteps of experimental music that characterize some other Fahey albums, giving The Yellow Princess a more even feel. A durable and enjoyable album, but also probably not the most impressive in the Fahey catalog — for which I would probably lean toward things like the more enigmatic and mystical Volume 6: Days Have Gone By. Nonetheless, this is a versatile album well suited for listening in mixed company. Worth recommending is a CD reissue that adds three lengthy bonus tracks, the best of which is “The John Fahey Sampler, Themes and Variations”. After listening to Josephine Foster off and on for years, I have come to the conclusion that I don’t care much for her singing. It is simply too much. The affected mannerisms are too imposing, the delivery too forceful, and, in general, the emphasis too heavy on the vocals. In short, she tries too hard to make her singing out of character for the kind of folky music she makes. What I do like about Blood Rushing is everything else. These are wonderful songs, with an effortless blend of shambolic eccentricities and virtuous melodies. It’s actually a pretty endearing album.